"Makes one almost wish for a British big cat sighting...."
Will the Last Person to Leave Britain Please Turn Out the Lights? Things in the UK just keep going from bad to worse. Last week, while we were all being stunned into silence by the revelation of David Cameron's Big Society, the head of the Department of Culture, Media and Sport, Jeremy Hunt, cheerfully announced his contribution to the Government's austerity drive. He was going to get rid of 35% to 50% of his staff. You'll recall that that the UK Treasury had proposed cuts in departmental budgets averaging 25%, but it was clear that with many departmental budgets (e.g. Health) ring-fenced, the cuts would fall more heavily on some departments than others, at levels up to 40%. DCMS was one of the most likely targets for these heavyweight cuts. According to the Guardian, some departments have failed to meet the Treasury deadline or are refusing to produce 40% cuts, saying it is not realistic to do so, and therefore a waste of time. By contrast, Hunt has been proactive and not only delivered his proposals for savings early, but also at a more sweeping level than asked. There's method in this ministerial hari kiri - ministers who settle early with the Treasury have been told they can then sit on a body set up to arbitrate on departments that refuse to settle until September or October. Having butchered his own department, Hunt then moved on to the various agencies that come under its aegis, and the news for museums is not great. Today, he announced a proposal to abolish the Museums, Libraries, and Archives Council (MLA), by April of next year. To put this in context for American readers, this is the end of the UK equivalent of IMLS. The only unified body dealing with best practices in the museum and library sector is going to be dismembered and some of its responsibilities divided up among other agencies. The other responsibilities will presumably be dropped. Unless, of course, they are picked up and done for free by part of the Big Society. Responding, MLA issued a press release in which they rather sadly detailed all of the efficiencies they had made or planned to make. Not efficient enough apparently. Hunt, of course, believes that abolishing MLA (along with the UK Film Council and a bunch of other public bodies) will "deliver fantastic culture, media and sport, while ensuring value for money for the public and transparency about where taxpayers' money is spent." In other words, duplicating functions across a bunch of agencies is being touted as more efficient than centralizing them in a single body. It's not clear yet what this means for initiatives supported by MLA, such as the ground-breaking Renaissance program aimed at transforming England's regional museums. Culture minister Ed Vaizey is quoted by the Guardian as saying "there is now an opportunity to integrate Renaissance.... into the wider cultural framework". Which I think is probably code for "close it down." Part of the problem is that Hunt has painted himself into a corner by committing to continue publicly-subsidised free entry to national museums, on the basis that it improves tourism and the wider creative economy. This removes one potential source of revenue that could offset public spending. The more alarming prospect is that the cuts in departmental budgets are a pre-emptive measure, aimed at reducing the political blowback from impending deep cuts in arts and media budgets. Once again, I urge American readers to take notice. There are plenty of deficit hawks in US politics; the news from the UK shows what happens when you vote them into power. On Monday, just when you were thinking that Britain's new government was all about cuts, David Cameron announced the first of the coalition's new ideas. In fact, it may be their only new idea. It's called "The Big Society" and he couldn't wait to tell the people of Britain all about it. Again. It was actually heavily touted in the Tory's election manifesto, but was met with profound disinterest all round. But I'm here to tell you that it's really quite important, especially for museums. And for you American readers, who are just about to go off and look at something more interesting to a US audience (such as New York's Naked Cowboy suing the Naked Cowgirl), I would definitely urge you to hang on, because this is also very relevant to you. Americans will be aware that in the 1960s, Lyndon B. Johnson launched a series of domestic programs under the umbrella of "The Great Society," whose aims were the elimination of poverty and racial injustice. The Great Society had its flaws, but it was probably the greatest piece of progressive government by any country in the postwar period, responsible for enshrining civil rights, voting rights, federal funding for education, Medicare, Medicaid, the National Endowments for Arts and Humanities, PBS, NPR, consumer protection laws, and a whole raft of environmental legislation. Conservatives hated the Great Society, and have been trying to dismantle ever since, with varying degrees of success. David Cameron's "Big Society," of course, is a much more modest affair, starting with its less-than-inspiring name and going downhill from there. Whereas Johnson's program was all about using government as a tool to tackle the problems of society, the Big Society is all about government telling society to go fix its own problems because the government can't afford to do it themselves. As Cameron puts it, years of top-down government control has turned capable people into "passive recipients of state help", lively communities into "dull soulless clones" and motivated public sector workers into "disillusioned weary puppets of government targets." Yikes. Instead of this, the government will be supporting community-led programs, making heavy use of volunteers. I noticed with interest that one of the pilot programs mentioned was "efforts to recruit volunteers to keep museums open." 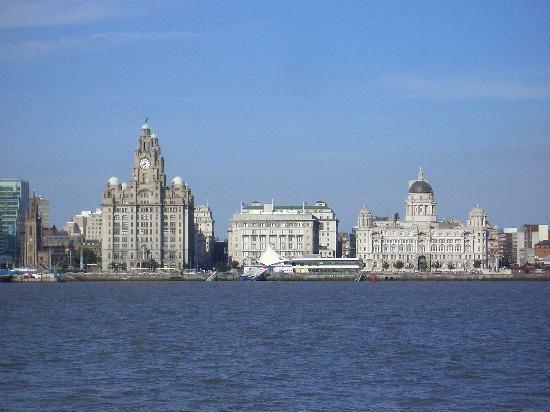 The program in question is based in Liverpool and aims to extend the opening hours of the city's museums. Why do they need volunteers to keep the museums open? Well, it may not be completely unconnected to the fact that the museum budget is about to be slashed by 30%. You would have to be extraordinarily naive not to wonder whether the savings are going to be made by replacing paid staff with unpaid staff. What do the paid staff think about it? Well, here are a few selections taken from an article in today's Independent. "They are not going to replace people doing the job day in, day out. You can't just replace the depth of knowledge you build up doing that." "I am one of those people who will most likely be replaced by a volunteer. We have already been told to expect 30 per cent cuts and there is a total freeze on recruitment, so when we heard this there was mixture of disbelief and fatalism"
"If people have a passion for something, they will do it. But even we find that we need a base of twice as many people as you think to get everything done. Most have full-time jobs and will help if they can, but whether you will get people to sit in an art gallery all day for nothing is another matter"
"There was so much going missing we had to get rid of them. We are not social workers so we decided to put an end to it"
Reading this made me both profoundly depressed and extremely angry. As long-time readers of this blog will know, I'm a passionate defender of the role of volunteers in our museums. Put bluntly, we could not do our jobs without the support of our dedicated corps of volunteer staff, who give generously of their time in support of our various missions and ask (and all too frequently get) very little in return. It's interesting to note that the Friends of National Museum Liverpool was forced to disband two years ago after a falling out with the NML's director, David Flemming, which makes his enthusiastic support for the new volunteer program look a little suspect. Successful volunteer programs are a partnership, between professional museum staff and the wider community. We don't dump our workload on the volunteers; we like to think that we give them something of ourselves in return, transferring skills and knowledge that we've acquired through formal education and training. Nonetheless, it's not uncommon to encounter colleagues who look upon volunteer programs with deep suspicion. Unions, in particular, are not great fans of volunteers, claiming that they provide a way for employers to get work done without paying for it. Previously I'd always dismissed this as a knee-jerk reaction. 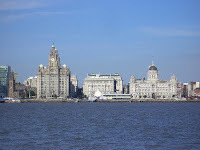 But now, looking at Liverpool and wondering about other museums who may be "offered the opportunity" to participate in the Big Society, I wonder if maybe I was wrong. And this is what makes me especially angry. Volunteer programs are something that we in museums should be proud of. Now, because of their successes in this area, museums like NML are being targeted by this deeply cynical government program that seeks to paper over the yawning cracks caused by spending cuts by dumping its responsibilities onto unpaid staff. And with minimal paid staff to supervise, you can forget any broader goals of education and training. Why should Americans worry? Well, the USA has a massive and growing deficit. Conservative eyes here are undoubtably looking with interest at the fiscal austerity measures imposed across Europe, including the UK. To the average Republican, the idea that people, not governments, should take responsibility for supporting institutions like museums and galleries must look very attractive. As we seek to build on our successful volunteer programs, I fear we must have at least one eye looking over our shoulder, marshalling arguments for why volunteers can enhance, but not replace professional staff. And the fact that I have to adopt this negative approach is yet another reason for me to dislike the "Big Society." For those of you who like to comment on posts (and there are a few of you out there) I'm afraid I've had to enable comment moderation - too much dumb comment-spam. I apologize for the extra step, but I promise that I won't censor you and your comment will appear as soon as I can get to it. Congratulations to my YPM colleague, Nick Longrich, on his discovery of a new genus of ceratopsian dinosaur lurking unrecognized in the basement of the AMNH - you can read the kicks-n-grins version of the story in the New York Times. It's yet more proof (if any were needed) that there are a host of discoveries still waiting to be made right under our noses in the collections. Congratulations also to another of my colleagues, Marilyn Fox, for taking the call from the Times reporter while I was running out of the door on Friday afternoon, and coming up with a better quote on the uses and abuses of plaster in paleontology collections than I ever could. Following on from my previous post extolling the virtues of harnessing social networking technologies to provide a window into museum work, I wanted to give a shout-out for my colleague Jess Utrup, who has just launched a blog called Spineless Wonders, which focuses on the work of the Museum's Division of Invertebrate Paleontology. Never let it be said that invertebrate paleontology is all about quantity over quality! (And no, I have never said that, even though they are rocking over 4 million specimens in comparison to my 75,000). One of the startling thing about Peabody over the last couple of years is what a fertile environment it's been for new blogs; there have been six so far, covering four of the collections (Historical Scientific Instruments, Invertebrate Paleontology, Vertebrate Paleontology (that would be me), and Vertebrate Zoology), an exhibit (the Point Pelee diorama), and the birds of West Campus. Combine that with our Facebook page and I hope we're giving our audience a whole new set of insights that we weren't doing two years ago. Whether you actually care is another matter, but at least you can't argue that we're not putting it all out there. In the past, when I’ve written critical things about my former employer in NYC, some of my friends there have accused me of being a “hater.” So it’s nice to have an opportunity to commend AMNH for its new series of videos highlighting the extraordinary wealth of its collections. The first of these, which focuses on the Department of Ichthyology, can be seen by clicking on the link above. This is absolutely the sort of thing that museums should be doing – harnessing new (or at least, new-ish) technologies to show people things that they don’t normally get to see. I wholeheartedly applaud this. This is why I can now offer some constructive criticism. First, 2½ minutes may be the average attention span of a YouTube viewer, but it’s a very short amount of time in which to cover one of the world’s great fish collections. So why waste half that time talking about two specimens (a grouper skeleton and a coelacanth), especially as the topics of the discussion - teleost feeding and lobe fins - are covered in the Museum’s permanent displays on vertebrate evolution? Melanie Stiassny and her colleagues are doing some amazing work, collecting in the Congo Basin and Madagascar among other places, and it would have been interesting to hear about how these sorts of studies of biodiversity rely on museum collections. Second, it would be nice if once in a while, when the doors of the collections swing open, we could hear from someone other than a curator. Diversity is important and while picking Melanie – one of only eight women out of more than 60 tenured curators and emeriti – was an inspired choice for the first video, there are many people working behind the scenes who have considerable knowledge of the collections, but who approach them from very different perspectives. No doubt AMNH has this angle covered for the later videos, but it’s an important point, which raises some wider issues. In the last 20 years or so, museums have become a lot more professional in the way that they present themselves to the outside world. AMNH was in the forefront of this movement and by-and-large it has been a good thing. Museums are now taken seriously when they comment on issues of global significance, such as the environment, biodiversity, and evolution (assuming that they choose to comment, which is a whole other issue). Unfortunately, this approach runs the risk of the institution appearing a little monolithic and, dare I say, corporate. Clearly there are times when institutions need to speak clearly and with one voice. But museums are also diverse communities of individuals, all with their own expertise and their own differing approaches to their work; this is one of the reasons that they are such great places to work. We should be harnessing the potential of social networking technologies – blogging, Facebook, Flickr photostreams, and YouTube channels - to give these people a voice. Isn’t it interesting to find out, for example, how to preserve a fish in alcohol? Or clean an elephant? Or extract fossils from rock? Or repair an African drum? 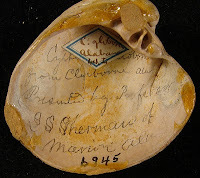 Or simply to have museum staff pick their favorite object from the collections for an exhibit, as my colleagues at the Oxford University Museum of Natural History are doing for its 150th anniversary. Museums should have the courage to embrace diversity of opinion, especially when the opinions are as well-informed as those of its own staff. I’m looking forward to seeing what AMNH does with the rest of its collections videos. When I was a kid, my big brother, Peter, was the proud owner of a set of bound magazines called Knowledge that were published in the early 1960s - the idea was that you collected them and they grew into an encyclopedia of sorts. Nowadays, of course, you can go write your own encyclopedia using Wikipedia, but back then these "part-works" as they were called were hugely popular. I used to pore over Knowledge whenever Pete wasn't around. One of my favorite entries was the one for fossil mammals. It had a lurid painting, showing a biblical horde of rhinos, chalicotheres, and oreodonts drowing in a sea of mud under a gloomy sky laced with lightning bolts (or was it an erupting volcano? 40 years on, things are a little hazy). The animal's mouths were gaping wide, presumably uttering squeals of primitive ungulate terror, and the whites of their eyes are showing. 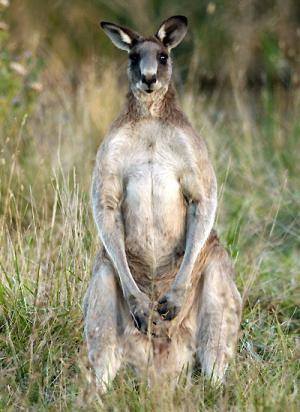 It made quite an impression on me, and ever since then I've most definitely had a "thing" about Tertiary mammals. So it's not suprising that in this great Fossil Hall planning exercise, I've ended up dealing with the Cenozoic, which for those of you unfamiliar with the geological record is the 65 million year period between us and the K/T boundary. Yeah, I know, the Great Hall has Apatosaurus, and Archelon, and Stegosaurus, and and a bunch of other -sauruses, but from the moment I walked in the door it was always the fossil mammal gallery that grabbed the attention. At first sight, it may be difficult to see why. For a start, compared with the Great Hall, the FM gallery seems like a bit of an afterthought. It appears low-ceilinged (although actually it's not), gloomy, and the specimens are enclosed in monstrous floor-to-ceiling cases that take up huge amounts of floorspace and restrict your ability to view things. So one of our major challenges is to liberate the specimens from their cabinets and get them out into the floor. The general gloom is a whole other issue - do we try to find a way to get natural light into the gallery (tricky, but not impossible) or do we use the darkness to accentuate some spectacular lighting of our specimens? The Peabody's freight elevator opens midway along the North wall, and the "Age of Mammals" mural is so arranged that when you walk into the fossil mammal hall from the Cretaceous end of the Great Hall you find yourself not in the Paleocene (which is where your "walk through time" should go next) but at the end of the Pleistocene, reinforcing the erroneous belief that the period "after the dinosaurs" is all about wooly mammoths and sabertooth cats. So another challenge is how we steer people through the gallery. The good news is that we discovered a blocked-up doorway from the Great Hall that enters the gallery at an earlier point in the Cenozoic. The bad news is that it enters in the Oligocene, which is around the half-way mark. On the other hand, there are some advantages to my concentrating on the Cenozoic. First, exhibit quality material is not a problem - 60% of the Peabody's VP collection is made up of fossil mammals and, as you'll see over the weeks to come, some of them are just flat-out gorgeous. 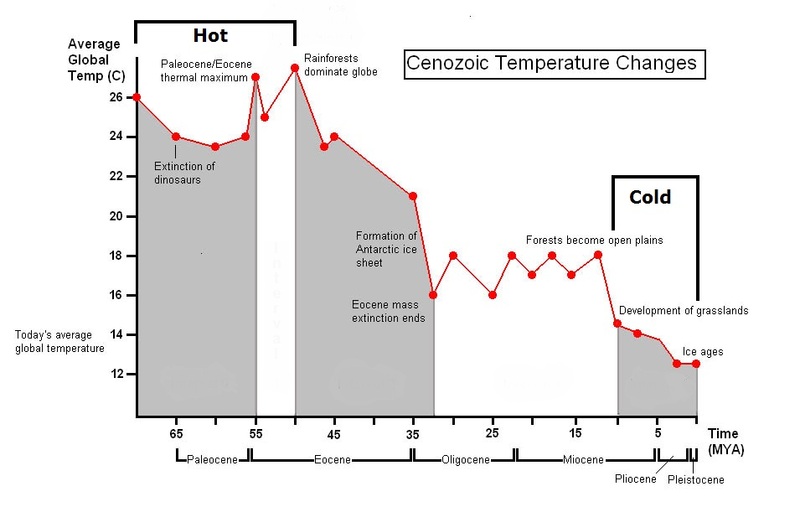 Next, the environmental change story for the Cenozoic is, at least superficially, a very clear cut one. It starts out hot, ends up cold, and shows some spectacular resulting shifts in fauna and flora along the way. We'll talk a little bit more about that in the next post. The above image is an extract from Rudolph Zallinger's Age of Mammals mural and is © 1966, 1975, 1989, 1991, 2000 Peabody Museum of Natural History, Yale University, New Haven, Connecticut, USA; All rights reserved. In earlier posts (see here and here) I've written about the ongoing efforts to create a programme aimed at mobilizing data across all of the natural history collections in the USA and the potentially enormous benefits for research that will result from doing this. I'm pleased to report that the biological collections community has finalized a strategic plan to digitize and mobilize images and data associated with biological research collections. The proposed ten year national effort is the product of two workshops held at the National Evolutionary Synthesis Center this year (one of which I attended), as well as surveys of 291 federal and approximately 600 federally supported collections. The plan sets out three main objectives: digitize data from all U.S. biological collections and make them available online in a standardized format; develop and make available new web interfaces, visualization and analysis tools, data mining, and georeferencing processes; and prevent future backlogs of digitized collections through the use of tools, training, and infrastructure. To do this, the plan proposes a series collections networks, organized regionally within the US, or by scientific themes, such as clades or particular research questions. Coordinating this effort will be a national digitization hub. So, will this plan actually amount to anything? In the current economic climate it's hard to say anything for certain, but the noises coming from DC (this is my feeble attempt to suggest that I have my finger on the pulse) are that this effort has built up considerable momentum with the relevant federal agencies that would have to provide funding to make it a reality. If it does happen, it may be on a scale that dwarfs the current sources of collection support. For this reason, I urge anyone with an interest in collections, and especially anyone working in biological collections, to follow this link and look at the strategy. Ultimately, it's your strategy - read it, know it, own it. This clip was brought to my attention by Carl Zimmer over at "The Loom" - if you want to see his original post, you can find it here. I should say in advance that it is littered with seriously foul language and scientific inaccuracies. But it made me laugh like a drain. Paleontological humor - unlikely, but true.